The tinkling of temple bells, a sea of women folk in their finest finery, heads bowed before the mother goddess, the recital of prayers and hymns to appease the deity and a wish to keep one and his brethren safe from the evil eye. Today's Puja, goes far beyond religion. 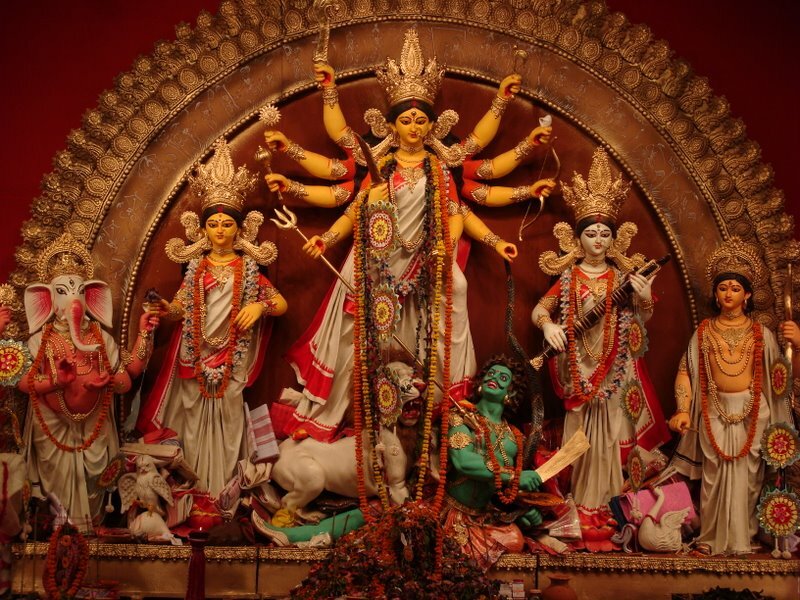 Visiting pandals in recent years, one can only say that Durga Puja is the largest outdoor art festival in India. 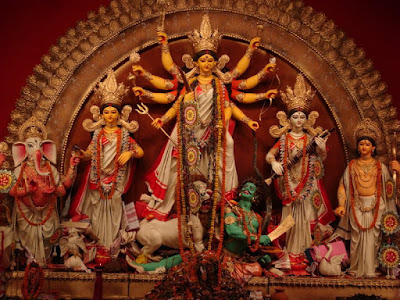 The music, dancing, and art displayed and performed during the Puja plays an integral part in connecting the community in Bengal and eventually across India and the world. In the 1990s, a preponderance of architectural models came up on the pandal exteriors, but today the art motifs extend to elaborate interiors, executed by trained artists with consistent stylistic elements, that are carefully executed and bear the artists' name. 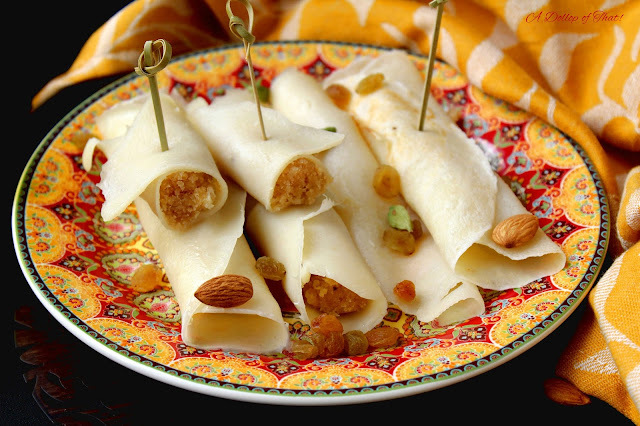 The worship of goddess Durga in autumn is the year's largest Hindu festival of Bengal. Thousands of pandals are set up in various cities, towns and villages throughout West Bengal. 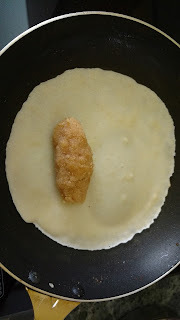 Puja means "worship" and Durga's Puja is celebrated from the sixth to tenth day of the waning moon in the month of Ashvin, which is the sixth month in the Bengali calendar. 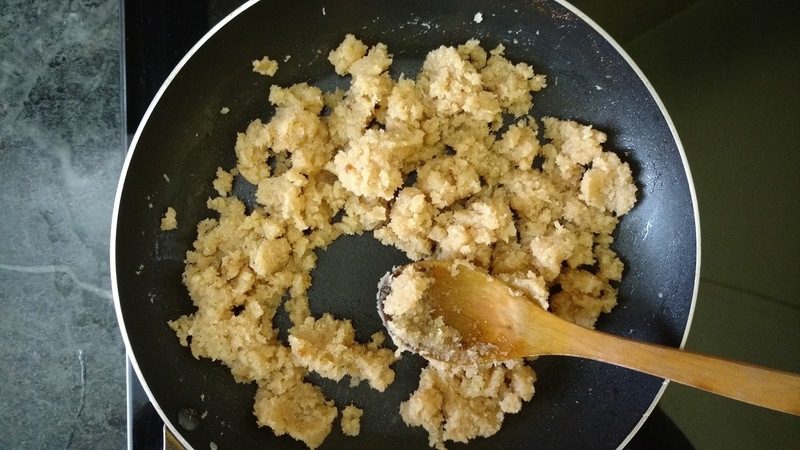 That all Bengali sweets are to die for is popular knowledge, but recipes from home kitchens are what what hold my heart for ever. 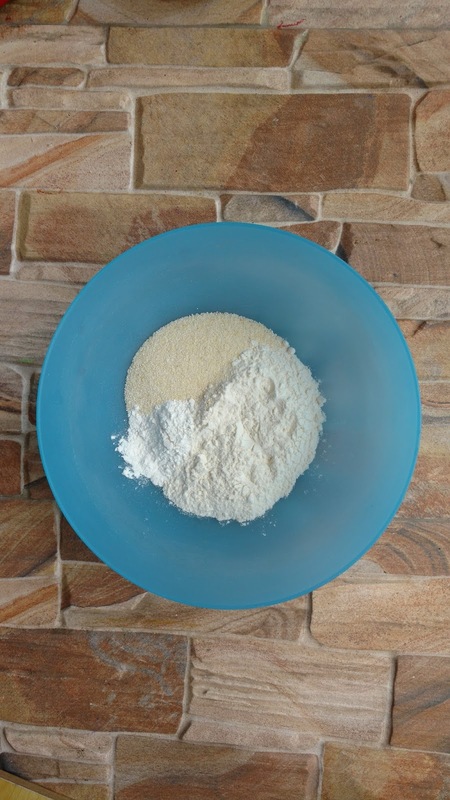 2 tbsps fresh or desiccated coconut. Start by making a pourable batter using rice flour, all purpose flour, salt and semolina, whisk in the milk and remove lumps if any. 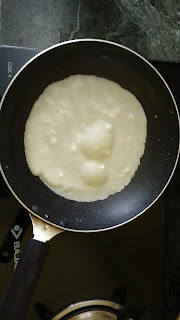 Allow this batter to sit for 30 mins. 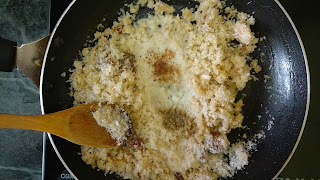 In a pan add in a small spoon of ghee, pour in the milk and sprinkle the semolina over it, mix well. Now add in the jaggery, allow to melt if using it in its solid state. 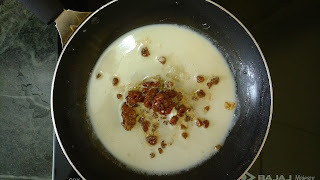 Next add in the raisins and allow them to soften slightly. 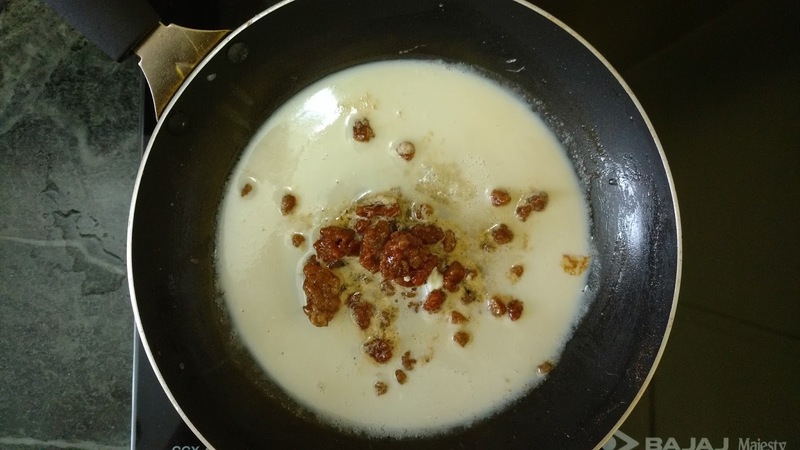 Once the jaggery is well incorporated add in the coconut along with the cardamom powder and cook on a slow-medium flame until the mix comes together in a mass. Once done, switch off the flame and allow to cool. To make the crepes, brush a small pan with a little butter or ghee and pour in 2 tbsps of the batter, twirl the pan around so that the batter forms a uniform circle. Next, make a small log of the prepared filling that is slightly smaller in size than the diameter of the crepe and put it on one edge of the crepe. 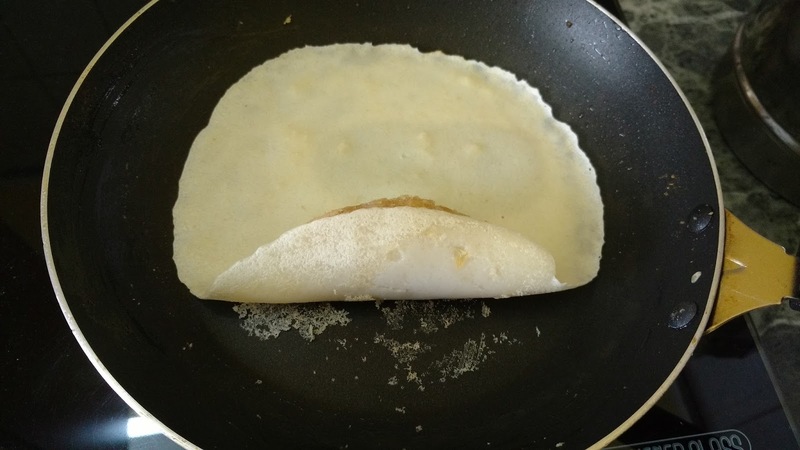 Next with the help of your spatula roll the flap of the crepe over the filling, keep rolling gently till you form a crepe cylinder.